Complex thermo-mechanical processing routes are often developed for fabrication of ultra-fine grained (UFG) metallic materials with superior mechanical properties. The processed UFG metallic materials often have to undergo additional metalforming operations for fabrication of complex shape parts or tools that can significantly affect their microstructure and crystallographic texture, thus further changing their mechanical properties. The development of novel thermo-mechanical processing routes for fabrication of UFG metallic materials or for further metalforming operations is very time-consuming and expensive due to much higher cost of the UFG metallic materials. The objective of this work is to perform physical simulation of hot rolling of UFG pure Ti obtained via severe plastic deformation and to analyze the effect of hot rolling on the microstructure, crystallographic texture, and hardness of the material. 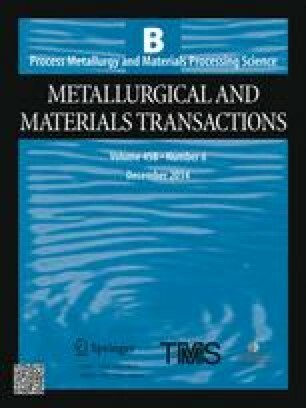 It is demonstrated that physical simulation of metalforming processes for UFG metallic materials can significantly reduce the amount of material required for development of processing routes as well as to increase the efficiency of experimental work. Manuscript submitted November 11, 2013. The authors acknowledge gratefully the Russian Ministry for Education and Science for the financial support of this study through the Federal Targeted Program, Contract No 14.B25.31.0017 by June 28, 2013. IS acknowledges the funding through the ViNaT project, Contract No 295322, FP7-NMP-2011.1.4-5. IS also acknowledges gratefully the Spanish Ministry of Economy and Competitiveness for financial support through the Ramon y Cajal Fellowship.